Each designer needs to think outside of the box, do not try to copy another sample to adjust the contest. We are asking after creative designs and a logo that could stand out and work both print, web, etc. Hi all designers, in total the contest has received over 900 different propositions for a new logo/brand design. There is only one day left of the contest and the board will now consolidate and select the best contributions to the contest and appoint a winner of the contest. There is still time to send in examples. Please check #837 #838 ,Thanks. #690 & #691 check please and give your valuable feedback. Hi all designers, the progress is much better and some designers has now understand what we are looking after, the team has graded the examples posted in the contest, also our web developer has made some comments, we look forward to more posts. Here is our comments for last questions. 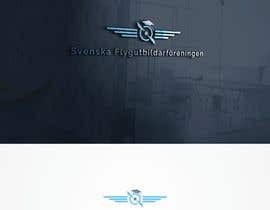 Examples that are rated with three (3) stars are now presenting something that we are looking for where the text Svenska Flygutbildarföreningen is less dominant as the symbol itself. 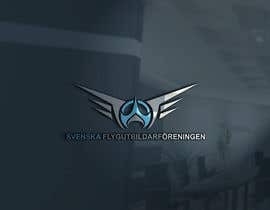 It is correct that this is the name on the organization and need to be a part of the LOGO design. It could be a tag line as part of the entire logo. Current website will be totally changed and the new mockup design for the web will partly be designed after the new logo with new color scheme. 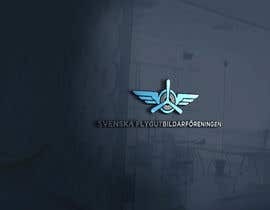 So please present the logo both in color and b/w and both on dark respective white background so the board could see the different options. 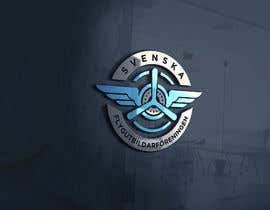 Another questions was if our flight instructors wear uniform during training, we will say no, in very strict pilot training schools there is white shirts, ribbons, ties, etc, but is more relaxed dress code during training. 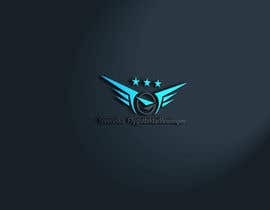 Sir you should want to see all design on white background.I had seen your profile and known that you are new in freelancer.design that you rated that all template/mockup file.when a design keep a mockup file then it see more beautiful than the mail file .so all design should be put on white background. Hey there, I have an idea for your logo, but i need to ask you a question.. Do your instructors wear any type of cap or hat. Or any type of uniform? This would be helpful to me in coming up with a creative logo. Thanks so much! 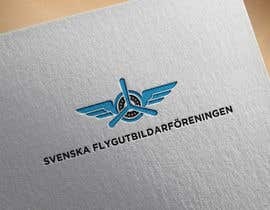 We want a logo that has a symbol that reflects our organisation that is nice, sharp and clear together with the tagline Svenska Flygutbildarföreningen. 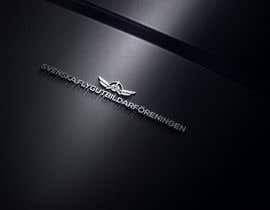 The symbol MUST be the DOMINANT part of the logo, NOT the tagline Svenska Flygutbildarföreningen. 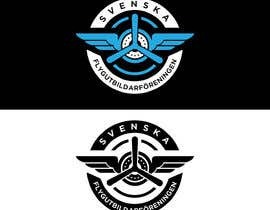 All examples where Svenska Flygutbildarföreningen is large, bold and very dominant will be rejected as this is something we do not want. Hi! I think here is a confusion about meaning of the tag line phrase in your brief. 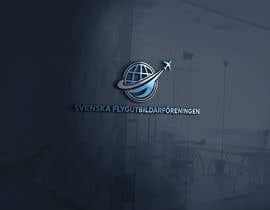 Your company name is Svenska Flygutbildarföreningen and it's not a tag line. Tag line might be FLY Safe, for example. Am I right? Also, be aware of the mock up presentations (shiny and glossy backgrounds). 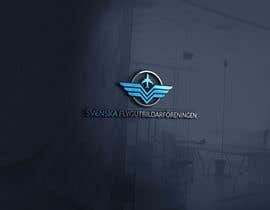 Some designers use it in order to create a corporate feel of their logo. Usually these logos looks totally different in their natural form (flat against white/dark background). 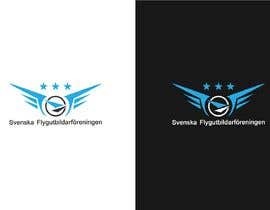 So if you like some design, ask the designer to show it flat, without effects against white/dark. Thank you! # 318 & 319. Thanks. Thanks for all creative ideas and logo designs. But we still need to roll back to the main concept of a new logo. 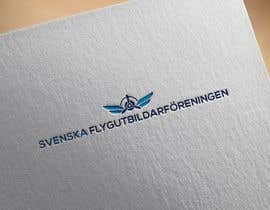 In the old logo we have an aircraft and a tagline that says the name of the organization Svenska Flygutbildarföreningen. 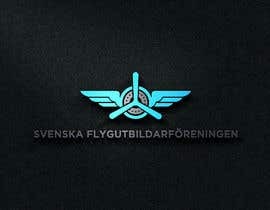 Translate into English this means Swedish Flight instructor association. 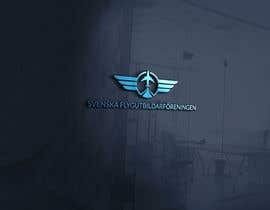 We are working with aviation, training and are teachers in pilot training. 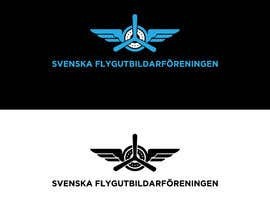 The symbol must be the dominant part in the logo and the tagline with the text Svenska Flygutbildarföreningen must be LESS dominant. It is a long text but should be included in the logo. We suggest that the colour blue should be a part of the logo, also please read the main text of the contest. We look forward to further examples for evaluation and we will rate each design proposition. If you need further clarification, please post and ask.